We offer high quality reasonably priced frames, handmade in the UK, and ideal for the Soggy Rabbit picture style. 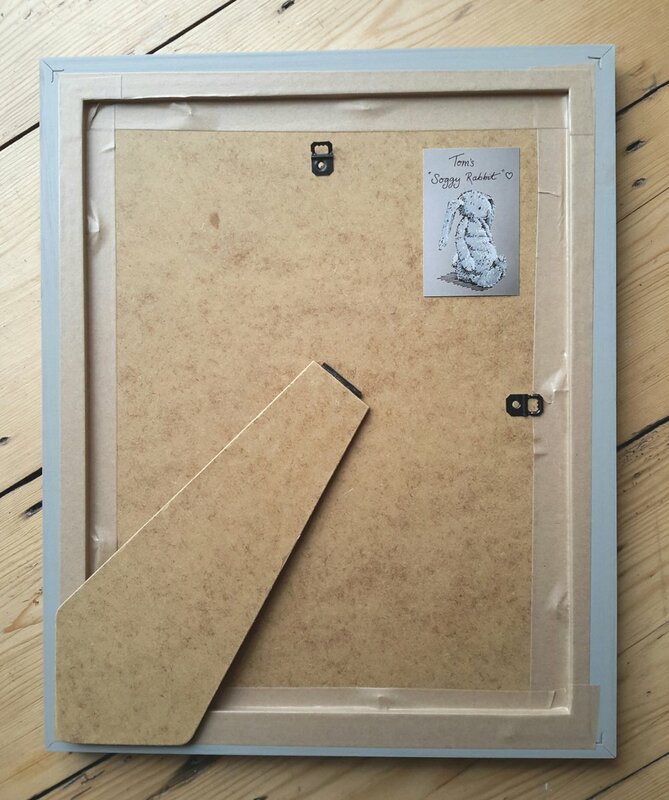 Frames are solid FSC certified wood, painted a discreet slightly distressed grey to pick out the background colour of the drawing. White mount card perfectly complements the drawing. This is professionally cut, and is acid-free to prevent yellowing core. We frame your picture 'portrait' or 'landscape' depending on the drawing layout, ready to hang. 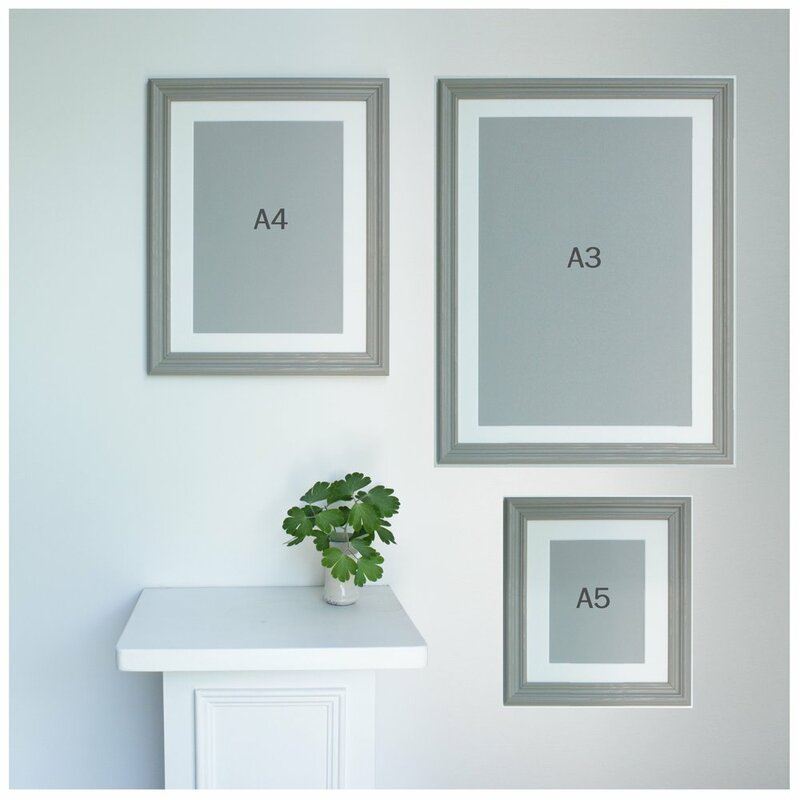 You can choose whether to include framing during the ordering process. Alternatively you can of course take your unframed drawing to any professional framer.